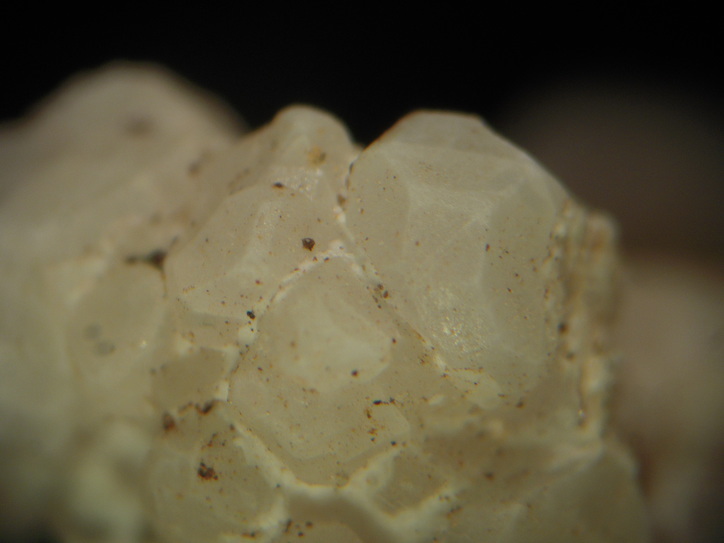 Natrophosphate: Mineral information, data and localities. Named for the composition that includes NATRium (Latin for sodium) and phosphate. A rare sodium phosphate hydrate mineral. Partially decomposes to a white powder on exposure to air, dissolves in H2O. Rare as octahedra, dodecahedra, or tetrahedra, typically rounded and up to 1 cm in size; also in monomineralic aggregates and veinlets. Range observed: a = 27.79–27.93 A.
Vernadsky Geological Museum, Moscow, 51117. A. E. Fersman Mineralogical Museum, Academy of Sciences, Moscow, Russia, 74383. Kapustin, Y.L., Bykova, A.V., Bukin, V.I. (1972) Natrophosphate, a new mineral. Zapiski Vsesoyuznogo Mineralogicheskogo Obshchestva: 101(1): 80-86. 8.DN.20 Vyacheslavite U(PO4)(OH) · nH2O Orth. Kapustin, Y.L., Bykova, A.V., Bukin, V.I. (1972) Natrophosphate, a new mineral. International Geological Review: 14: 984-989. Baur, W.H., Tillmanns, E. (1974) Salt hydrates. X. The crystal structure determinations of heptasodium fluoride bisphosphate 19-hydrate and heptasodium fluoride bisarsenate 19-hydrate and the computer simulation of the isomorphous vanadate salt. 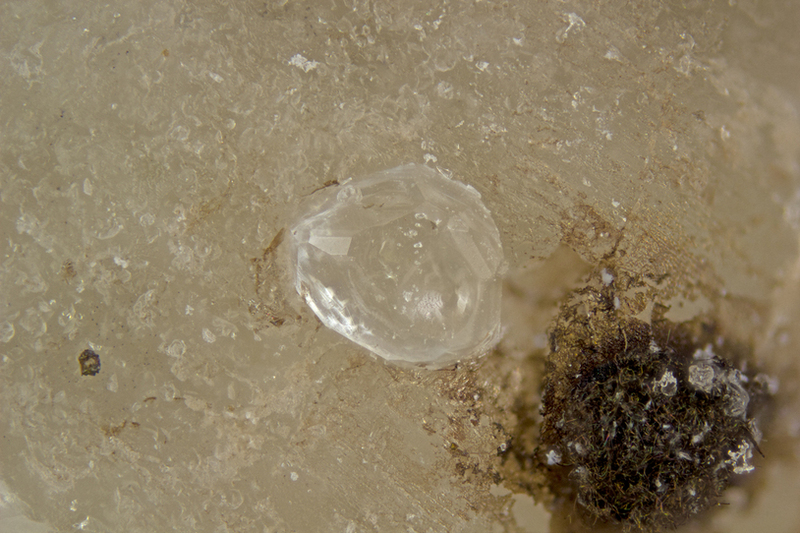 Acta Crystallographica: B30: 2218-2224. Khomyakov, A.P., Bykova, A.V. (1980) Natrophosphate - the first occurrence in the Lovozzero alkalic massif. Mineralog. Zhurnal: 2(6): 88-91. Fleischer, M, Chao, G.Y., Francis, C.A. (1981) New mineral names. American Mineralogist: 66: 878-879. Holdaway, M.J. (1981) Errata. American Mineralogist: 66: 1281-1281. Genkina, E.A., Khomyakov, A.P. (1992) Refinement of the structure of natural natrophosphate. Soviet Physics, Crystallography: 37: 844-845. Petersen, O.V., Fockenberg, T., Toft, P.C., Rattay, M. (1997) Natrophosphate from the Aris phonolites, Windhoek, Namibia. Neues Jahrbuch für Mineralogie, Monathefte: 1997: 511-517. Petersen, O., Khomyakov, A., Sørensen, H. (2001) Natrophosphate from the Ilimaussaq alkaline complex, South Greenland, Geology of Greenland Survey Bulletin: 190: 139-141. Pekov, I. (1998) Minerals First discovered on the territory of the former Soviet Union 369p. Ocean Pictures, Moscow; 33 IGC excursion No 47, July 22 – August 2, 2008 Stop 2-2; Kapustin, Y. L., Pudovkina, Z. V., Bykova, A. V., & Lyubomilova, G. V. (1975). Koashvite, a new mineral. International Geology Review, 17(6), 654-660.; Khomyakov, A. P., Nechelyustov, G. N., Sokolova, E., Bonaccorsi, E., Merlino, S., & Pasero, M. (2002). Megakalsilite, a new polymorph of KAlSiO4 from the Khibina alkaline massif, Kola peninsula, Russia: Mineral description and crystal structure. The Canadian Mineralogist, 40(3), 961-970. Pekov, I. (1998) Minerals First discovered on the territory of the former Soviet Union 369p. Ocean Pictures, Moscow; Kapustin, Y. L., Pudovkina, Z. V., & Bykova, T. Y. (1982). 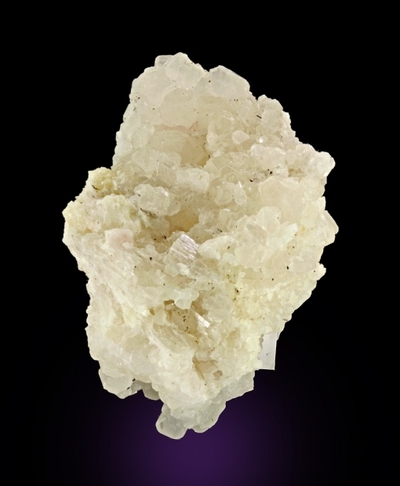 Dorfmanite, a new mineral. International Geology Review, 24(1), 111-115.